Increase in public assistance by 50% and reductions in personal income tax by 5% as well as corporate tax by 5%, are among the measures that will go into effect as of June 2018 once the fiscal space allows, when government conducts its mid-year review. 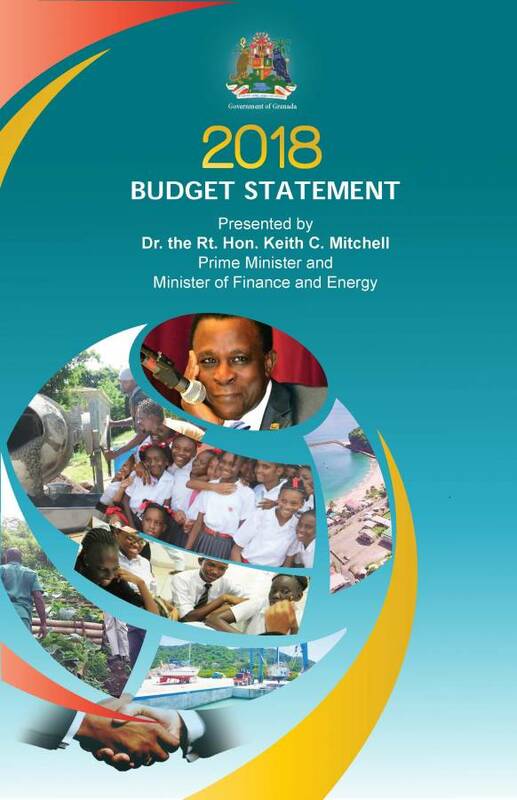 This was disclosed by Prime Minister Dr Keith Mitchell when he presented the country’s 2018 EC$1,112,039,938 budget during a session of Lower House of Parliament on Monday. The debate among the 15 parliamentarians begins Wednesday. He told the House that the Budget is anchored on the country’s Growth and Poverty-Reduction Strategy 2014–2018 as well as the Fiscal Responsibility Act. Explaining that the budget focuses on the achievements of 2017 and outlines government’s priority programmes for 2018, the Prime Minister informed the House that the 2018 Estimates of Revenue and Expenditure provide for total expenditure (including principal repayments on public debt) of EC$1,112,039,938.00. The Recurrent Revenue is set at $710.4 million; Recurrent Expenditure at $607 million; Current Account Surplus at $103.4 million; Capital Expenditure $171.3 million; Primary Surplus after Grants $147.8 million; Overall Surplus (after Grants) $80.1 million and Principal Repayments/Amortisation: $333.7 million. The top 5 allocations by vote are: Public Debt; Ministry of Education and Human Resource Development; Ministry of Finance and Energy; Ministry of Health, Social Security and International Business and the Ministry of Communications, Works, Physical Development, Public Utilities, ICT & Community Development. In making his announcement about the relief measure, Dr Mitchell said that government has repeatedly said that all Grenadians shared in the sacrifices of the Home Grown Programme, and should, therefore, share in the benefits. “In that regard, Mr Speaker, by June 2018, if the fiscal space allows, we will consider a number of measures, aimed at bringing fiscal relief and generating more disposable income in the hands of our people,” he said while sharing some of the expected relief measures. He also announced that Grenada unemployment which has moved from more than 40% in 2012 to 24% will reduce further as hundreds of jobs will be created during 2018. Most of the jobs will be in the construction and hospitality sectors, as well as through the expansion of call centres. More than 500 jobs are expected through call centres while more than 2,000 jobs through the construction of hotels and government’s infrastructural projects. “Grenada is poised to attract significant investment in all of these areas, which could ultimately lead to hundreds of new jobs,” Dr Mitchell told the House.